I love doing this book review. Aaron Dence and I originally met when we were literally in our mother’s wombs. Our moms had the same first names and last initial, were wearing almost identical outfits, and were both pregnant. We were meant to be friends. Aaron ended up being one of my best friends in high school. Although we live on opposite sides of the country now, whenever we talk it’s like we haven’t missed a beat. I was so happy when I heard that Aaron and Jason had started the adoption process. Knowing Aaron as I do, and after meeting Jason while they were visiting home, I knew that they were going to be great parents. Zahava really lucked out to get these two as parents! It didn’t surprise me at all to find out that Aaron and Jason had written a children’s book, especially one about displaying affection with your children. I loved this book the minute I opened the package and saw the colorful box and opened it up to reveal a reversible puppet and hardcover book. The box itself is beautiful. It has a magnetic closure and graphics all around. The box can be used to store the puppet and book, or kids can use it to store their special treasures. 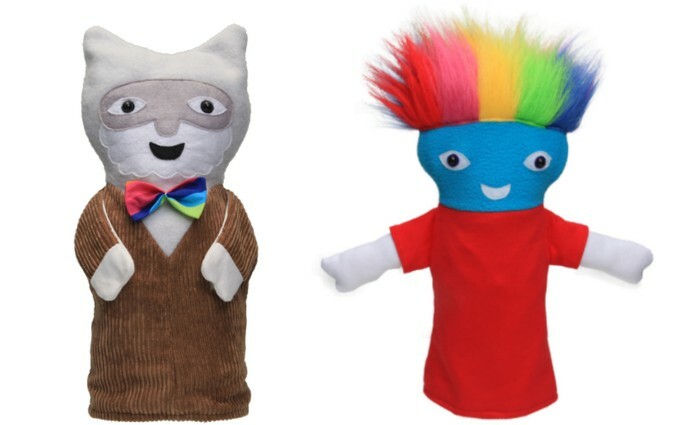 Edora is a lovable character that stands out in the world of “Blah” with her rainbow hair, blue face, and her love of kissing children that giggle. JW’s eyes went wide when he saw Professor Roade start to move and tell the story of The Kissing Bandit. He was delighted when the puppet changed from Professor Roade into Edora and started kissing him as he giggled. I love that he ran away at first and came back for more, as though interacting with an actual girl. 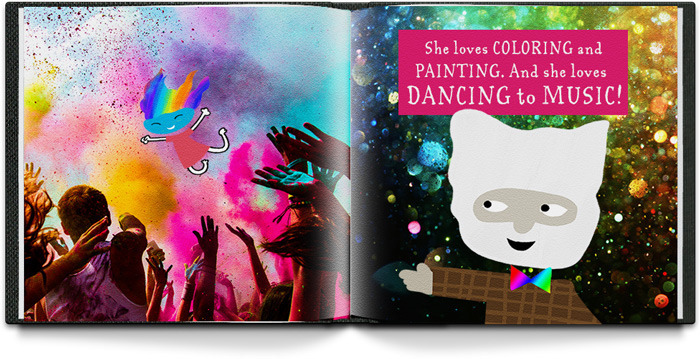 The puppet makes the book come to life in a way not possible with just pictures on a page. We do a lot of hugging and kissing in our house, so this book fit right in. Showering affection is such an important piece of being a parent or grandparent. Kids need to know that they are loved just for being who they are and for doing something as simple as giggling. Edora sets the stage for parents and grandparents to be silly and loving and to shower their children with laughter and kisses. This is one beautiful book. Rather than a completely illustrated book, Professor Roade and Edora are placed in vibrant photographs of flowers and trees and swirling colors. This technique is an effective strategy to make the reversible puppet come to life in whatever setting it is being read. 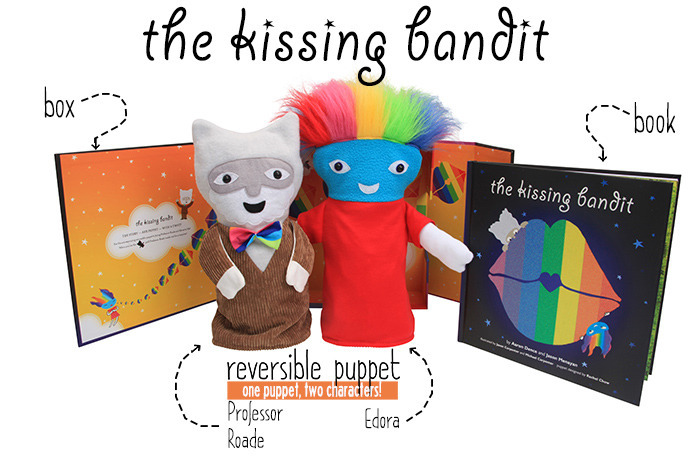 The Kissing Bandit is available for preorder on their Kickstarter campaign. After I ordered my advance copy, I requested a review copy so I could share it with all of you. They are over half way to their goal! Once the hit their mark, they will start production and books will shipped and in homes in time for the holidays. Get your copy at Kickstarter and help spread the love!